By Natasha Tasha in Coding. Updated on August 3, 2018 . With so much of the traditional, desktop-based productivity software we know and love moving to the Cloud, it’s no surprise that Cloud-based IDEs are quickly gaining ground with developers. Nowadays, the browser is essentially a thin client that allows users to access a variety of Cloud-based applications and services. However, many are still hesitant to put their full faith in a remote Cloud IDE for development purposes. Tools like Github and Pastebin helped to ease the transition to Cloud-based development, and full-fledged Cloud IDEs are now commonly used by many developers. 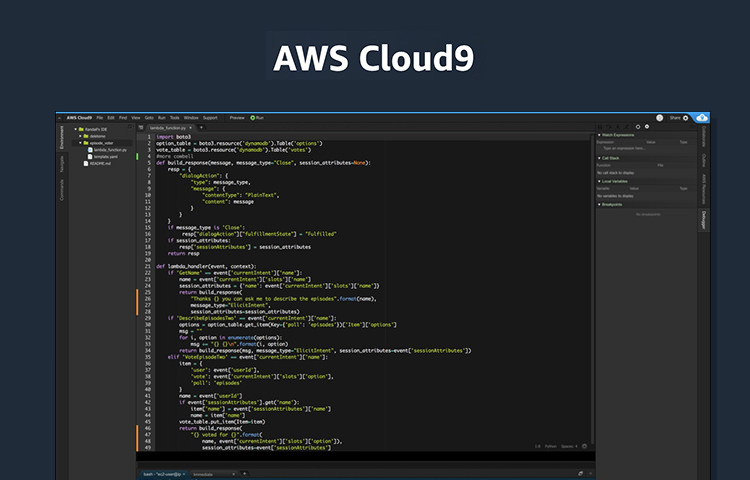 Here are 13 of the best Cloud IDEs you can get your hands on and a quick summation of each. The built-in Vim mode is a nice touch, as is the support for popular revision control systems like Git, Mercurial and SVN. Thanks to the inclusion of CSSLint and JSBeautify, it’s also one of the prettier environments found online. In addition, it boasts Dropbox and SFTP support, which allow coders to easily backup project files and share them with collaborators. Though it’s not the most full-featured Cloud IDE, it does what it does quite well. In particular, eXo Cloud is well suited to coders who specialize in Java programming. It supports Java servlets and Java Server Pages, as well as Maven. Deployment is handled by Heroku, CloudBees, Red Hat OpenShift and Cloud Foundry. Google Chrome is coming on strong as of late, surpassing Mozilla’s Firefox and taking a shot at Internet Explorer for the title of browser supremacy. Sourcekit is a Textmate-like IDE that relies on Dropbox for storage and provides a responsive environment for web developers. Kodingen is bolstered by the rich and diverse community of users that patronize the service, which makes collaboration and sharing in the Cloud fairly convenient. Free to use and experiment with, there’s no reason not to sign up for an account and give Kodingen a shot. Furthermore, the native compilation and debugging features are unparalleled. 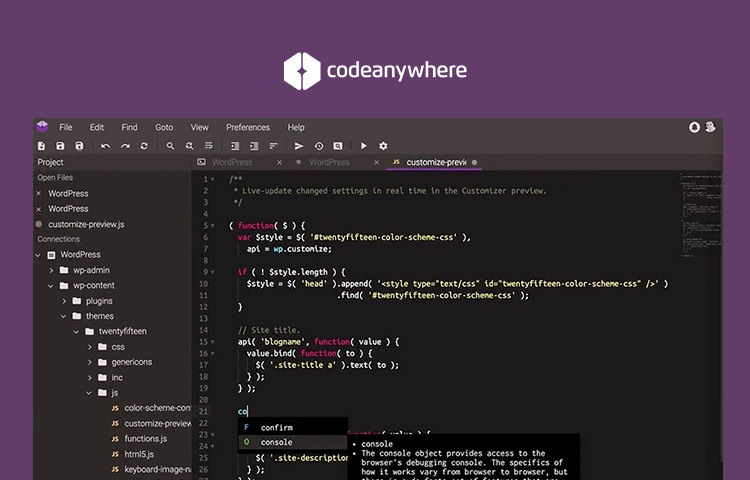 Lastly, Coderun Studio allows users to quickly share their code with their peers via unique URLs. Next up, we have the under-appreciated ShiftEdit. Though it may not have the name recognition of Cloud9 or Coderun, it’s nevertheless a versatile piece of Cloud-based software that’s worth looking into. Whether you’re a trendy Python fan, a PHP holdout or a Perl dinosaur, ShiftEdit has you covered. Users can backup files to Dropbox via SFTP and keep track of changes with various revision control tools all from within the browser. Its SSH authentication, code completion and code snippet features allow for seamless and uninterrupted work flow, which enables developers to be as productive as possible from any location. Though it’s not free, the pricing and plans offered by Erbix are fairly reasonable if you plan on making regular use of this innovative platform. It supports RingoJS and CommonJS modules, features a dedicated MySQL console and provides access to boatloads of apps from other developers through the Erbix AppStore. Building a versatile Cloud IDE from scratch is no small matter, which is why many choose to base their projects on pre-existing open source code. 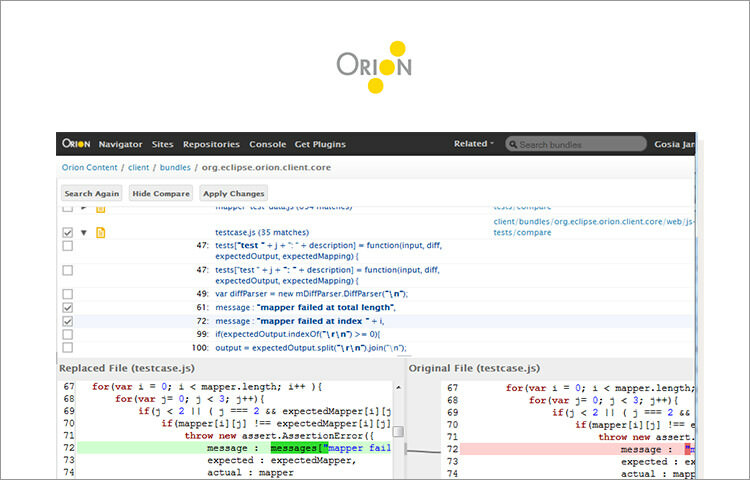 Neutron IDE stands on the shoulders of giants by using the powerful Ace code editor as its starting point. It merges the best features of SFTP clients and browser editors into one complete package, allowing coders to edit files on their development servers on the fly from anywhere. Featuring support for configurable Vi and Emacs key bindings as well as TextMate themes, it’s one of the most customizable Cloud IDEs around. Even when Google decides to give up on a project, the general coding public at large always seems to benefit anyway. Collide began its life as a Google Code project with a lot of promise. Though it’s now defunct, the source code is freely available to anybody that wants to fork it. In a nutshell, it’s a Cloud IDE running on the Java 7 JRE that relies on a host of solid software tools like Guava, JUnit, JKit and EasyMock to provide spartan but powerful collaboration functionality to teams of programmers who value real-time interactivity. However, it’s a work in progress and we can expect to see features added incrementally as development continues over the next year. Aside from Firebug integration, its biggest selling point is its Eclipse-style UI and intuitive layout. There are plenty of reasons why Python is gaining ground in the web development industry lately. It’s relatively fast, incredibly flexible and easy to learn. As such, it’s no surprise that Python-centric Cloud IDEs have evolved to assist developers in belting out code as quickly as possible. Much like JSFiddle, Python Fiddle is a code editor and code execution environment that allows programmers to run snippets and debug scripts on the go. It supports a plethora of third-party packages, boasts superb documentation, comes with a wide array of built-in hot keys and is also open source to boot. The use of web development programs that largely reside on remote servers still makes quite a few coders nervous. Adapting to the new paradigm will take some effort for the more conservative "old school" programmers. However, there’s little reason to be afraid of the Cloud anymore. With the adoption of several simple security precautions and an open mindset, any web developer can reap the rewards of Cloud software suites without any real danger. With so many options to choose from, there’s definitely a near-perfect program out there for every coder, irregardless of their own style and preferences. Editor’s note: This post is written by Natasha Tasha for Hongkiat.com. Natasha is a writer and blogger, plus tech lover, currently writing for Ninefold. She is interested in various technology and Internet topics, Cloud Computing, Web development, Web & Graphic design.